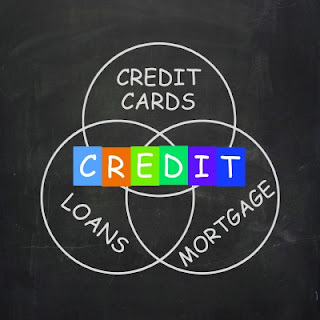 If you do not have a credit score, it is time to start thinking about building your credit. If you do not, you will quickly find that you are unable to get approved for many of the things that you want in the future. Below, we will go over some of the specific reasons why you need to start building your credit and what you will miss out on if you do not. If you decide that you want a new vehicle, you will need to fill out an application and the car dealership will run your credit. If you do not have a satisfactory score or you do not have a good credit history, you will find that you are not able to get approval. This can be a bummer, especially if you already test drove the vehicle and spent hours in the sales office waiting for a reply. Likely, if you have no credit, you will need a co-signer or you may be able to gain a high risk loan, but this can mean that you pay outrageous fees and a higher interest rate, when it isn’t even necessary. If you want to purchase a home in your future, you need to have a good credit score or a lender will not approve you for the loan. In addition, you cannot rent an apartment without a credit score either. The reason behind this is because the apartment manager does not know if you will pay your bill or if you are able to manage the responsibility of paying bills. At some point in time, you will likely want to refinance your student loan to receive a lower payment or interest rate. If you have a bad credit score or no score, you will find that you do not receive approval and you are stuck on the plan that you are on. Insurance companies use your credit score to determine the amount of money you pay for a policy. If you have a bad credit score, you will pay more for your premium. If you have no credit score, you might as well have a bad one because you will still be forced to pay more. Also, you may even be denied. Starting a business is exciting, but if you do not have good personal credit, you will not be able to receive loans for your business. While you can eventually earn business credit, a new business relies on your personal credit to back the loan. A poor credit score can lead to you self-funding everything for your business. In addition, you cannot work for some companies when you have a poor credit score. You can kiss goodbye a career in law enforcement, banking, and other professions where you obtain credit card information or handle money. Lastly, deposits for apartments, utilities, and rentals are all based on your credit score. For example, with a good credit score, you may not have to put down any deposits anywhere, but with no credit or a poor score, you may find that you have to pay a hefty security deposit and that your electrical company requires a deposit equal to two months’ worth of bills. As you can see, you need credit for almost anything and everything that you want to do in life. Your future will require investments and insurance to protect you and without a decent credit score, you will be left in a bad situation. While you may find that it is difficult for you to start out building your credit, you must be persistent and even see if your parents will co-sign for you. Creditors are likely to approve you if you have a guarantor who is willing to back you in case something happens. One of the easiest ways to get started when it comes to building your credit is to apply for a credit card. While you may not receive a large credit line, anything will help you establish yourself and your credit score. Building your credit is very important. Without a credit history, you may not even be able to get a cell phone plan, without shelling a lot of money. I put my kids on all of my credit cards once they hit 14. It's a great way to kickoff a kids credit history. My daughter just turned 18 and her credit score is really good. She gets the best credit card offers daily. I recommend this strategy to anyone who takes on the responsibility to teach their kids about credit and how to use it to their advantage. A great credit score at the age of 18, could be a dangerous thing. I'll make more money this year churning credit cards than I will in dividend income. Gotta have stellar credit if you want to play that game. Too many people avoid credit cards because they automatically assume it leads to debt! Little do they know, if they are responsible and make all of their payments on time, they will actually build credit. As you mentioned, this can help them become eligible for tons of things. I think student loan refinancing is a great point that many people don't consider.